The Queens Museum is pleased to host Sung Hwan Kim: From the Commanding Heights…*, the first U.S. solo museum presentation of the work of Seoul-born, New York-based artist Sung Hwan Kim. Dog Video, 2006 and From the Commanding Heights… , 2007 will be on view in the galleries, where new drawings and architectural elements extend the videos into space and respond to the idiosyncratic gallery location. Summer Days in Keijo-written in 1937, 2007, will also be screened during the exhibition. Kim’s unearthly works, often made in collaboration with New York-based musician David Michael DiGregorio (dogr), draw on personal and political history to evoke a complex, contemporary global existence. Kim uses simple means and imagery, invented or drawn from folk tradition, to animate strange tales; video or 16 mm footage of his home, his cities, himself performing; voiceover; and intertitles to create non-narrative, multilingual works that are gripping from beginning to end. In Dog Video, 2006, a query-”People in Amsterdam ask me how it’s different where you’re from”-triggers a string of vignettes: church bells recorded in an attic; power plays between two young men that equally evoke child’s play and torture; and glimpses of dogs in Northern Renaissance art. In From the Commanding Heights…, 2007, misty shots of a Seoul housing complex frame a fuzzy, subtitled international phone call with the artist’s mother who reveals a piece of gossip from long ago. Combined with dogr’s plaintive electronic ballads, the work fully communicates the emotional power of secrecy, renunciation and loss. Summer Days in Keijo-Written in 1937, 2007 follows a young Dutch woman through contemporary Seoul, whose Japanese colonial name was Keijo. A voiceover, based on Swedish ethnographer Sten Bergman’s 1937 travelogue In Korean Wilds and Villages, unfolds incongruously over Kim’s images of a contemporary, changing city. The yearning so intensely present in the works-for home? for the past? for something far less easy to name?-becomes our own yearning for connection and community, regardless of whether we live near or far from where we were born. Korean artist Sung Hwan Kim is currently based in New York. Previously, he lived and worked in the Netherlands over a period of four years, during which part of the time was spent as a fellow at the Rijksakademie. Variations of In the Room have been exhibited or performed around the world at places including STEIM, Amsterdam; Project Arts Centre, Dublin; Kunst-Werke, Berlin; Witte de With, Rotterdam; Haus der Kunst, Munich, and Tranzitdisplay, Prague. His work was included the 2004 Gwangju Biennale, the 2008 Berlin Biennale, Manifesta 8, and Media City Seoul 2010. Prizes include the Hermes Korea Missulsang (Hermes Korea Prize for Contemporary Art), the 2nd prize of the Prix de Rome from the Netherlands, and the Karl Sczuka prize for a radio play produced with Intermedium Records titled Sung Hwan Kim/dogr: One from in the room: dog I knew. He has work on view in The Other Tradition at Wiels, Brussels and is preparing exhibitions for Kunsthalle Basel, Tate Modern and If I can’t dance, I don’t want to be part of your revolution. This exhibition is organized by Queens Museum curator Larissa Harris. 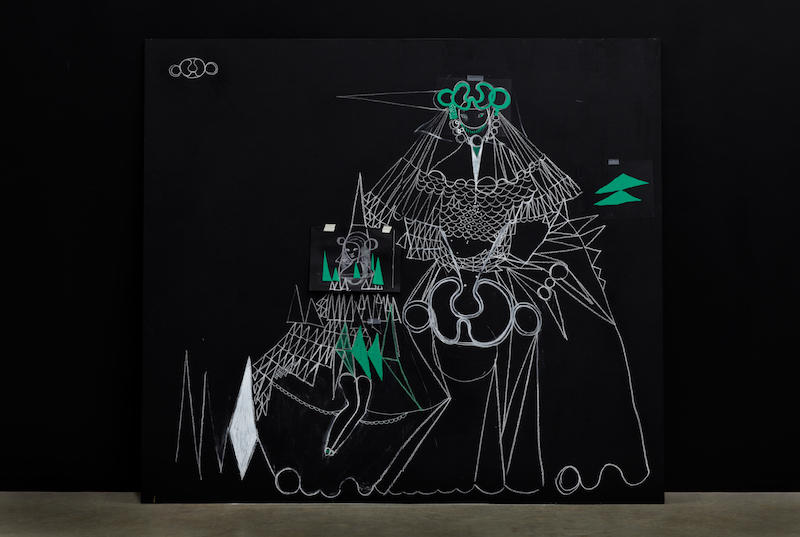 Sung Hwan Kim’s solo presentation at the Queens Museum of Art is supported by grants from the Lily Auchincloss Foundation, The Greenwall Foundation, New York State Council on the Arts, Puffin Foundation, and Queens College Asian American Center. Additional support provided by the New York City Department of Cultural Affairs.